2.Available colors Free sample is available 3.Features 1) Non-porous, stain resistance, heat resistance, bacterial resistance; 2) durable, seamless jointing, design flexible, easy to maintain; 3) Safety,no radiation. 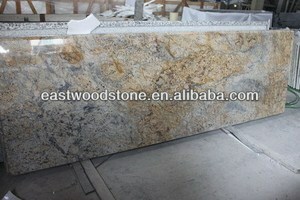 ,Ltd was established to produce resin stones. Till now, we have the largest workshop in Asia to manufacture artificial stones, acrylic and quartz solid surface as well. 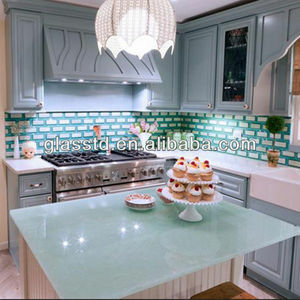 corian color acrylic solid surface kitchen cabinet design corian solid surface 1). 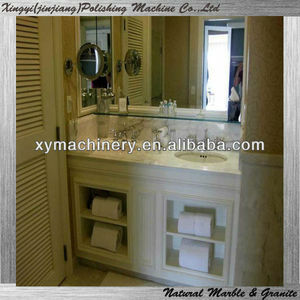 Home application: Countertop, basin (sink), wall, shower, table etc. 2). 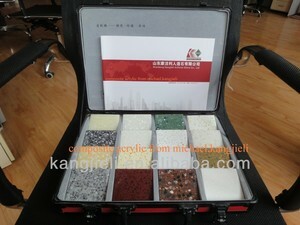 ,Ltd was established to produce resin stones. SH Jinlu Automation Equipment Co., Ltd.
Dongguan Kongder Industrial Materials Co., Ltd.
normal when in matt surface finish; very good when in high gloss. very good Anti-scratch or Anti-impact very good when in matt surface finish; good when in high gloss. Yes when in matt surface finish; Yes when in high gloss, but is hard to repolish into high gloss by consumers themselves. Low price corian solid surface seamless joint adhesive manufacturers for countertops, high strength and non-yellowing Special Features 1.Own 90% Chinese market 2.High strength: better than Corian and LG, Quartz adhesive is better than Intergra 3.Non yellowing with 10 years warranty 4.Low temperature resistant: -50 &#8451; , High temperature resistant: 180 &#8451; 5.Curing time: 18-22minuts at 22 &#8451; 6.Shelf time: 24 months (10 &#8451; -18 &#8451; ) 7.More than 500 colors , matched with Straon, Corian, Casestone, Silestone, Magicstone, etc 8.The only Chinese glue manufacturer can use MIXPAC cartridge with intellectual property protection 9 . SGS,ROHS,SVHC,ISO9001 certificated 10. Free sample Product Specification Modle 50ml-SBS Quartz Adhesive Specification 50ml N.w 52g G. w 101g(1 cartridge glue + 2 mixer tips) Cartridge Material PBT Accessary material PA PCS/CTN 100 Ctn Size 53.5&times;27.5&times;19.5cm CBM of Ctn 0.02868938m&sup3; Weight of Ctn 11.3kg PCS/Cbm 3200 Ctn/Cbm 52 Weight of 1Cbm 361kg Applicator 50ml Dispenser Detailed parameters Ingredient Methyl methacrylate, Aluminum Hydroxide Application Artificial stone, Pure acrylic Solid surface, Modified acrylic Solid surface, Polyester, Composite board Working time (24&#8451;/75.2&#8457;) 8-10minutes Fixture time (24&#8451;/75.2&#8457;) 18-22 minutes Shelf Life (10/50&#8457;-18&#8451;/64.4&#8457;) 24months Viscosity CPS (24&#8451;/75&#8457;) A(18000-22000), B(4000-6000) Mix Ratio(Weight & Volume) A:B=10:1 Mixed Specific Gravity 1.04 Color Matching Effect Seamless joint Extension meter of once dispense 30-40m Operation Temperature 24&#8451;/75&#8457; above is suggested UV stability 8 years non yellowing, data from Corian GW101 and Magicstone PM201 tested Bond strength Three -point anti-crack test: 35.8Mpa-43.08 Mpa, Cantilever beam test 3.28KJ/ Square -3.73KJ/ Square Flexibility(after joint) Free to bend any shape with a heat 150&#8451; to pure acrylic board and adhesive Temperature tolerance -55&#8451;/-67&#8457;-185&#8451;/365&#8457; Qty for standard Acrylic sheet 3sets(12&times;760&times;3680/3050mm), 2-2.5sets(12&times;760&times;2440mm) SGS-ROHS,REACH, ISO9001,MSDS,TDS Shipping service Contact info WhatsApp: +(86) 13925575839 Send your inquiry details in the below, Click &ldquo; &rdquo; now, free samples are waiting for you. Low price White acrylic Quartz Stone Glue Special Features 1.Own 90% Chinese market 2.High strength: better than Corian and LG, Quartz adhesive is better than Intergra 3.Non yellowing with 10 years warranty 4.Low temperature resistant: -50 &#8451; , High temperature resistant: 180 &#8451; 5.Curing time: 18-22minuts at 22 &#8451; 6.Shelf time: 24 months (10 &#8451; -18 &#8451; ) 7.More than 500 colors , matched with Straon, Corian, Casestone, Silestone, Magicstone, etc 8.The only Chinese glue manufacturer can use MIXPAC cartridge with intellectual property protection 9 . 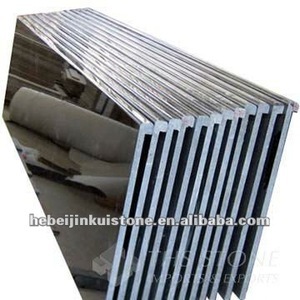 SGS,ROHS,SVHC,ISO9001 certificated 10. Free sample Product Specification Modle 50ml-SBS Acrylic Adhesive Specification 50ml N.w 52g G. w 101g(1 cartridge glue + 2 mixer tips) Cartridge Material PBT Accessary material PA PCS/CTN 100 Ctn Size 53.5&times;27.5&times;19.5cm CBM of Ctn 0.02868938m&sup3; Weight of Ctn 11.3kg PCS/Cbm 3200 Ctn/Cbm 32 Weight of 1Cbm 361kg Applicator 50ml Dispenser Detailed parameters Ingredient Methyl methacrylate, Aluminum Hydroxide Application Artificial stone, Pure acrylic Solid surface, Modified acrylic Solid surface, Polyester, Composite board, Quartz Surface, Granite, Marble, Engineering Stone Working time (24&#8451;/75.2&#8457;) 8-10minutes Fixture time (24&#8451;/75.2&#8457;) 18-22 minutes Shelf Life (10/50&#8457;-18&#8451;/64.4&#8457;) 24months Viscosity CPS (24&#8451;/75&#8457;) A(18000-22000), B(4000-6000) Mix Ratio(Weight & Volume) A:B=10:1 Mixed Specific Gravity 1.04 Color Matching Effect Seamless joint Extension meter of once dispense 30-40m Operation Temperature 24&#8451;/75&#8457; above is suggested UV stability 8 years non yellowing, data from Corian GW101 and Magicstone PM201 tested Bond strength Three -point anti-crack test: 35.8Mpa-43.08 Mpa, Cantilever beam test 3.28KJ/ Square -3.73KJ/ Square Flexibility(after joint) Free to bend any shape with a heat 150&#8451; to pure acrylic board and adhesive Temperature tolerance -55&#8451;/-67&#8457;-185&#8451;/365&#8457; Qty for standard Acrylic sheet 3sets(12&times;760&times;3680/3050mm), 2-2.5sets(12&times;760&times;2440mm) SGS-ROHS,REACH, ISO9001,MSDS,TDS Shipping service Contact info Send your inquiry details in the below, Click &ldquo; &rdquo; now, free samples are waiting for you. Low price Corian Solid Surface Glue Special Features 1.Own 90% Chinese market 2.High strength: better than Corian and LG, Quartz adhesive is better than Intergra 3.Non yellowing with 10 years warranty 4.Low temperature resistant: -50 &#8451; , High temperature resistant: 180 &#8451; 5.Curing time: 18-22minuts at 22 &#8451; 6.Shelf time: 24 months (10 &#8451; -18 &#8451; ) 7.More than 500 colors , matched with Straon, Corian, Casestone, Silestone, Magicstone, etc 8.The only Chinese glue manufacturer can use MIXPAC cartridge with intellectual property protection 9 . SGS,ROHS,SVHC,ISO9001 certificated 10. Free sample Product Specification Modle 50ml-SBS Acrylic Adhesive Specification 50ml N.w 52g G. w 101g(1 cartridge glue + 2 mixer tips) Cartridge Material PBT Accessary material PA PCS/CTN 100 Ctn Size 53.5&times;27.5&times;19.5cm CBM of Ctn 0.02868938m&sup3; Weight of Ctn 11.3kg PCS/Cbm 3200 Ctn/Cbm 32 Weight of 1Cbm 361kg Applicator 50ml Dispenser Detailed parameters Ingredient Methyl methacrylate, Aluminum Hydroxide Application Artificial stone, Pure acrylic Solid surface, Modified acrylic Solid surface, Polyester, Composite board, Quartz Surface, Granite, Marble, Engineering Stone Working time (24&#8451;/75.2&#8457;) 8-10minutes Fixture time (24&#8451;/75.2&#8457;) 18-22 minutes Shelf Life (10/50&#8457;-18&#8451;/64.4&#8457;) 24months Viscosity CPS (24&#8451;/75&#8457;) A(18000-22000), B(4000-6000) Mix Ratio(Weight & Volume) A:B=10:1 Mixed Specific Gravity 1.04 Color Matching Effect Seamless joint Extension meter of once dispense 30-40m Operation Temperature 24&#8451;/75&#8457; above is suggested UV stability 8 years non yellowing, data from Corian GW101 and Magicstone PM201 tested Bond strength Three -point anti-crack test: 35.8Mpa-43.08 Mpa, Cantilever beam test 3.28KJ/ Square -3.73KJ/ Square Flexibility(after joint) Free to bend any shape with a heat 150&#8451; to pure acrylic board and adhesive Temperature tolerance -55&#8451;/-67&#8457;-185&#8451;/365&#8457; Qty for standard Acrylic sheet 3sets(12&times;760&times;3680/3050mm), 2-2.5sets(12&times;760&times;2440mm) SGS-ROHS,REACH, ISO9001,MSDS,TDS Shipping service Contact info Send your inquiry details in the below, Click &ldquo; &rdquo; now, free samples are waiting for you. Low price Corian White acrylic Adhesive Special Features 1.Own 90% Chinese market 2.High strength: better than Corian and LG, Quartz adhesive is better than Intergra 3.Non yellowing with 10 years warranty 4.Low temperature resistant: -50 &#8451; , High temperature resistant: 180 &#8451; 5.Curing time: 18-22minuts at 22 &#8451; 6.Shelf time: 24 months (10 &#8451; -18 &#8451; ) 7.More than 500 colors , matched with Straon, Corian, Casestone, Silestone, Magicstone, etc 8.The only Chinese glue manufacturer can use MIXPAC cartridge with intellectual property protection 9 . SGS,ROHS,SVHC,ISO9001 certificated 10. Free sample Product Specification Modle 50ml-SBS Acrylic Adhesive Specification 50ml N.w 52g G. w 101g(1 cartridge glue + 2 mixer tips) Cartridge Material PBT Accessary material PA PCS/CTN 100 Ctn Size 53.5&times;27.5&times;19.5cm CBM of Ctn 0.02868938m&sup3; Weight of Ctn 11.3kg PCS/Cbm 3200 Ctn/Cbm 32 Weight of 1Cbm 361kg Applicator 50ml Dispenser Detailed parameters Ingredient Methyl methacrylate, Aluminum Hydroxide Application Artificial stone, Pure acrylic Solid surface, Modified acrylic Solid surface, Polyester, Composite board, Quartz Surface, Granite, Marble, Engineering Stone Working time (24&#8451;/75.2&#8457;) 8-10minutes Fixture time (24&#8451;/75.2&#8457;) 18-22 minutes Shelf Life (10/50&#8457;-18&#8451;/64.4&#8457;) 24months Viscosity CPS (24&#8451;/75&#8457;) A(18000-22000), B(4000-6000) Mix Ratio(Weight & Volume) A:B=10:1 Mixed Specific Gravity 1.04 Color Matching Effect Seamless joint Extension meter of once dispense 30-40m Operation Temperature 24&#8451;/75&#8457; above is suggested UV stability 8 years non yellowing, data from Corian GW101 and Magicstone PM201 tested Bond strength Three -point anti-crack test: 35.8Mpa-43.08 Mpa, Cantilever beam test 3.28KJ/ Square -3.73KJ/ Square Flexibility(after joint) Free to bend any shape with a heat 150&#8451; to pure acrylic board and adhesive Temperature tolerance -55&#8451;/-67&#8457;-185&#8451;/365&#8457; Qty for standard Acrylic sheet 3sets(12&times;760&times;3680/3050mm), 2-2.5sets(12&times;760&times;2440mm) SGS-ROHS,REACH, ISO9001,MSDS,TDS Shipping service Contact info Send your inquiry details in the below, Click &ldquo; &rdquo; now, free samples are waiting for you. Low price Corian Joint Seamless Solid Surface Glue Special Features 1.Own 90% Chinese market 2.High strength: better than Corian and LG, Quartz adhesive is better than Intergra 3.Non yellowing with 10 years warranty 4.Low temperature resistant: -50 &#8451; , High temperature resistant: 180 &#8451; 5.Curing time: 18-22minuts at 22 &#8451; 6.Shelf time: 24 months (10 &#8451; -18 &#8451; ) 7.More than 500 colors , matched with Straon, Corian, Casestone, Silestone, Magicstone, etc 8.The only Chinese glue manufacturer can use MIXPAC cartridge with intellectual property protection 9 . SGS,ROHS,SVHC,ISO9001 certificated 10. Free sample Product Specification Modle 50ml-SBS Acrylic Adhesive Specification 50ml N.w 52g G. w 101g(1 cartridge glue + 2 mixer tips) Cartridge Material PBT Accessary material PA PCS/CTN 100 Ctn Size 53.5&times;27.5&times;19.5cm CBM of Ctn 0.02868938m&sup3; Weight of Ctn 11.3kg PCS/Cbm 3200 Ctn/Cbm 32 Weight of 1Cbm 361kg Applicator 50ml Dispenser Detailed parameters Ingredient Methyl methacrylate, Aluminum Hydroxide Application Artificial stone, Pure acrylic Solid surface, Modified acrylic Solid surface, Polyester, Composite board, Quartz Surface, Granite, Marble, Engineering Stone Working time (24&#8451;/75.2&#8457;) 8-10minutes Fixture time (24&#8451;/75.2&#8457;) 18-22 minutes Shelf Life (10/50&#8457;-18&#8451;/64.4&#8457;) 24months Viscosity CPS (24&#8451;/75&#8457;) A(18000-22000), B(4000-6000) Mix Ratio(Weight & Volume) A:B=10:1 Mixed Specific Gravity 1.04 Color Matching Effect Seamless joint Extension meter of once dispense 30-40m Operation Temperature 24&#8451;/75&#8457; above is suggested UV stability 8 years non yellowing, data from Corian GW101 and Magicstone PM201 tested Bond strength Three -point anti-crack test: 35.8Mpa-43.08 Mpa, Cantilever beam test 3.28KJ/ Square -3.73KJ/ Square Flexibility(after joint) Free to bend any shape with a heat 150&#8451; to pure acrylic board and adhesive Temperature tolerance -55&#8451;/-67&#8457;-185&#8451;/365&#8457; Qty for standard Acrylic sheet 3sets(12&times;760&times;3680/3050mm), 2-2.5sets(12&times;760&times;2440mm) SGS-ROHS,REACH, ISO9001,MSDS,TDS Shipping service Contact info Send your inquiry details in the below, Click &ldquo; &rdquo; now, free samples are waiting for you. 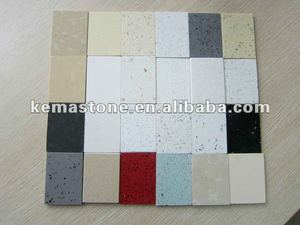 Alibaba.com offers 126 lowes corian countertops products. About 15% of these are adhesives & sealants, 8% are countertops,vanity tops & table tops, and 4% are bathroom sinks. A wide variety of lowes corian countertops options are available to you, such as countertop sinks, under counter sinks. 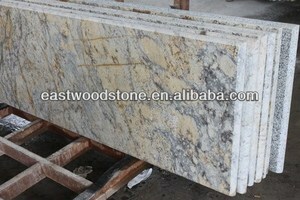 You can also choose from cut-to-size, big slab. As well as from free samples. 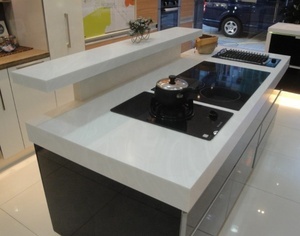 There are 46 lowes corian countertops suppliers, mainly located in Asia. 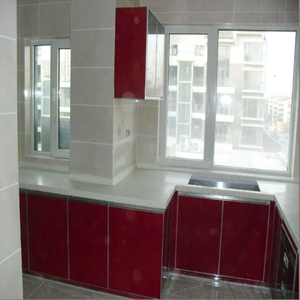 The top supplying country is China (Mainland), which supply 100% of lowes corian countertops respectively. Lowes corian countertops products are most popular in North America, Eastern Europe, and Southeast Asia.